In addition to all the materials we have access to via MSU's Library Services, you also have access to more materials from other libraries through our Interlibrary Loan service, or ILL. This service is provided free of charge to MSU students, faculty, and staff. 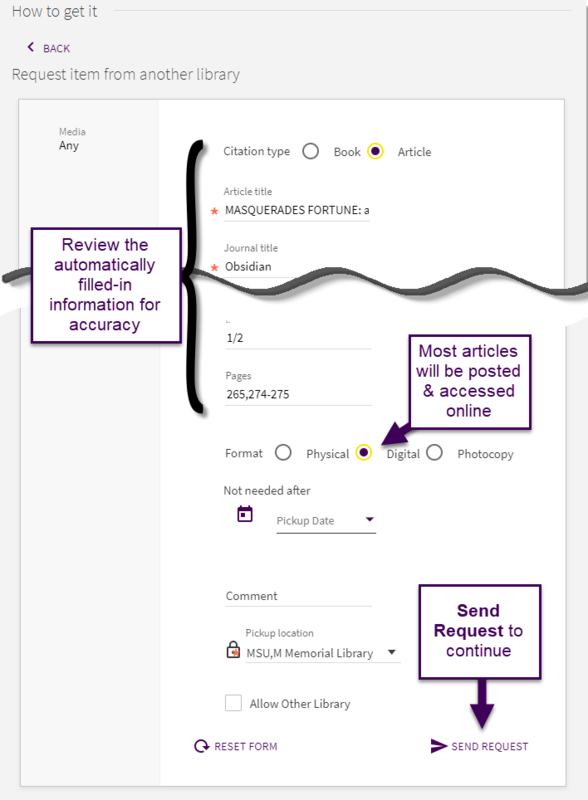 Use the information below to find and request articles from other libraries. First, go the the library's homepage. 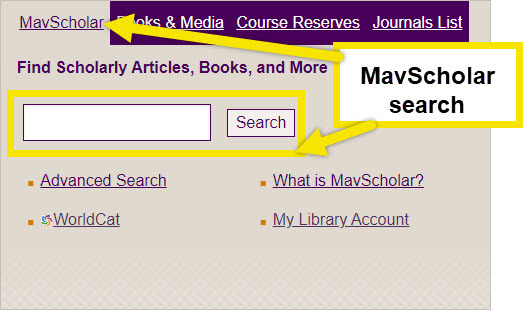 Use the "MavScholar" search bar in the center of the screen to search for your article. You can use advanced searches to search by author, title, or publication date to more quickly find your item. 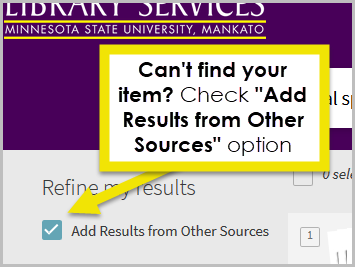 If you're having difficulty finding the article, click the "Add Results from Other Libraries" option near the top of the page. If you still can't find your item, is it possible you're looking for a book? Once you find the article, click on No Online Access or the title. Sign In using your StarID information under the How to get it section on the next screen. 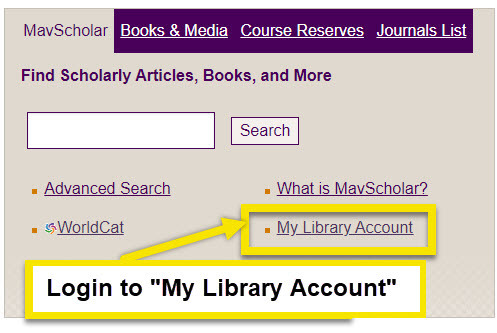 Click on InterLibrary Loan in the How to get it section on the next screen. After signing in, a form will include automatically filled-in information about the article. Double check the information to make sure it is correct. Click Send Request to continue. 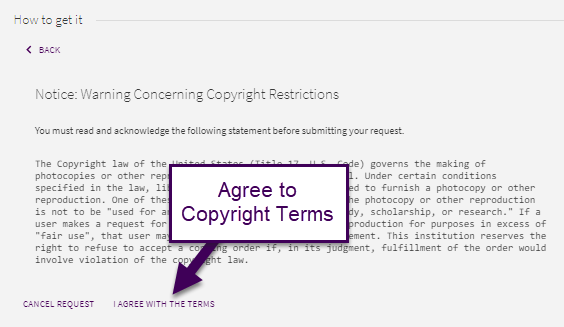 Next agree to the copyright terms in order to complete your request. The next screen should confirm that your request as been placed. 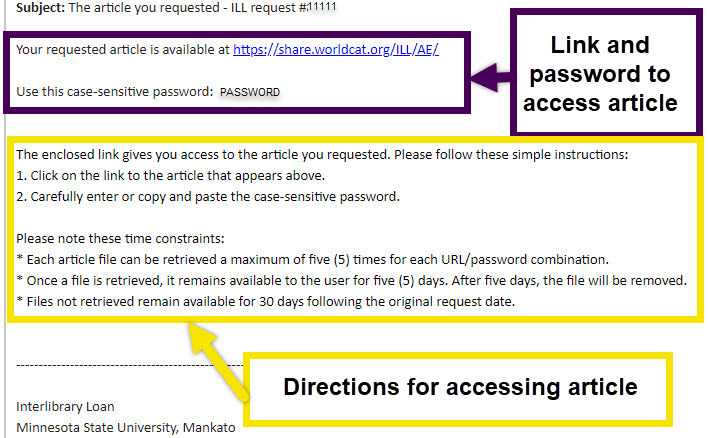 If you requested an article, it's likely you will receive access instructions via your MavMail email address. The image below is an example of an ILL email you might receive. In the message, there will be a link and password. Click the link and use the password to access your article. Warning: Access to the article expires in a few days. Be sure to download your article right away or you will lose access to it! To renew or cancel an ILL, you'll need to go to your "My Library Account." You can find the link on the library's homepage. 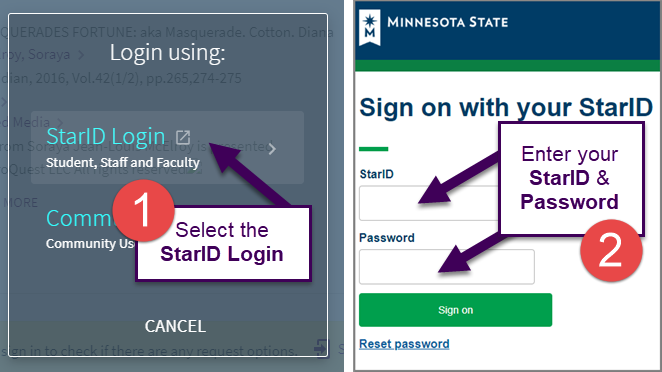 Select StarID Login then enter your StarID and password. Once logged in, click on "Requests" tab to see your current loans and requests. If you have any more questions about ILLs, or need to request something in a different way, check out the Interlibrary Loan's page .